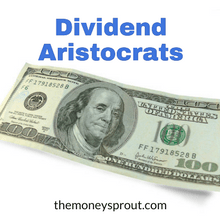 One of the most widely used lists of income stocks is the S&P 500 Dividend Aristocrats Index. This index includes some of the most well-known income investment options available in the stock market today. Investors will find stable companies that are well managed and have a strong history of increasing their dividends each year. What investors won’t find are stocks with double digit yields that are unsustainable for long periods of time. In many cases, the highest yielding stocks are usually the most risky investments that should be avoided by long term investors. Members of the dividend aristocrats on the other hand usually have current yields around 3% and are often overlooked by the casual investor as an income investment. So how does a stock actually become a member of the dividend aristocrat index? How Does a Stock Become an Aristocrat? Large Cap – Larger companies with a market cap of $5 billion or more. Blue Chip Companies – An established company that has stable earnings, little liabilities, and pays a regular dividend. Member of the S&P 500 – A well-known index that tracks 500 large-cap stocks that are actively traded in the United States that trade on either the New York Stock Exchange or the NASDAQ. 25 Years of Dividend Increases – A company must raise their dividends annually for at least 25 consecutive years in order to make this index. When my wife and I first started out with dividend growth investing … we only looked at the Dividend Aristocrats. While there are plenty of great options found on that list, there are other fantastic stocks that pay awesome dividends not on the list. When it comes to building your portfolio, just remember to keep an open mind. If you are looking for more information and tools on investing, check out our – Dividend Stock Resource page. 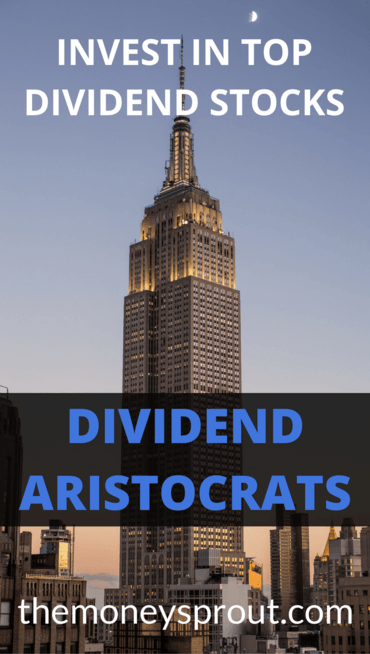 The S&P 500 Dividend Aristocrats Index can be a useful guide for dividend investors looking for investment ideas. Stocks that are included in the index are large cap, blue chip companies that have a history of strong dividend performance. By no means should this list be used as the only source of information, as there are times when it’s members may not offer the best opportunities. Dividend stocks included in this list should be evaluated further to ensure they provide the best investment opportunity for income investors. Note – While we invest in Dividend Aristocrats from time to time, we prefer to use Dave Fish’s Dividend Champions list found at The DRiP Investing Resource Center. This list of stocks contains several hidden gems and is updated every month. Have you used indexes like the dividend aristocrats to help guide your investment decisions?